Christie Clinic wanted to eliminate using email portals so that sending and receiving encrypted emails would be a more seamless, straightforward process. Integrated Paubox Encrypted Email that is the only solution with zero-step encryption on all sent emails. 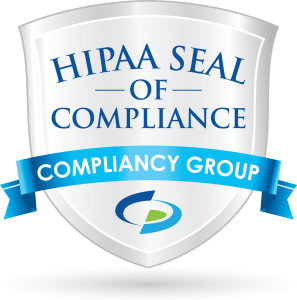 Recipients receive secure, HIPAA compliant emails like an ordinary email. Christie Clinic is one of the largest physician-owned, multi-specialty group medical practices in Illinois. The company invests in innovative technology to make healthcare easier for doctors, patients, and all involved. With over 40 departments and 35 specialties within Christie Clinic, countless sensitive emails were being sent daily. 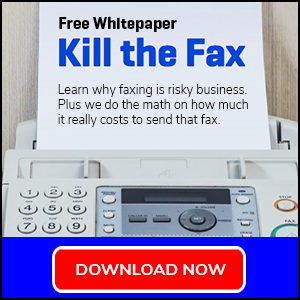 When their previous email encryption solution wasn’t measuring up to their other top tier technology, they began to look elsewhere for a more fitting solution. 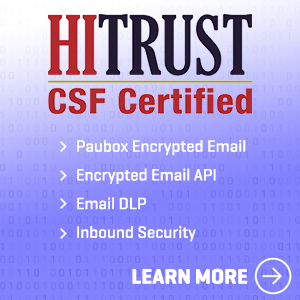 Scott Segerstrom, Information Systems Director of Christie Clinic, began to notice a disparity between their old email encryption provider and Paubox. Christie Clinic prides itself in utilizing cutting-edge technology to streamline the healthcare process for their physicians and patients. The inability of their previous solution to be able to meet their needs for a seamless email encryption experience caused friction for Christie Clinic’s staff. During his search for a more modern email encryption solution, Segerstrom had an auspicious phone call with his sister. His sister, the head of IT for an attorney’s group, was a Paubox client. She shared Paubox’s seamless nature with Segerstrom. The two siblings were in similar businesses – his sister worked with attorneys while Segerstrom worked with doctors. The need for privacy and security remained the same. Thanks to his sister’s referral, Segerstrom found the secure email encryption solution he wanted. With their previous email encryption solution, Christie Clinic was at risk with not having a solid security solution. But after Paubox’s easy implementation, requiring little user training for Christie Clinic staff, Segerstrom’s staff validated his decision with their comments about Paubox’s ease of use. Christie Clinic is an organization dedicated to providing the highest quality care through the simplest means. They aim to provide medicine long-term to the people of East Central Illinois.